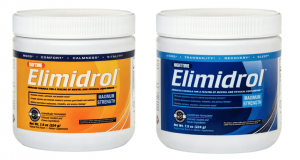 Welcome to our elimidrol review, All The Critical Information You Should Know is here. The world has turned into a high activity place, demanding of individuals both in their work and personal lives. With these pressures, it is not rare to find people suffering from constant nervous breakdowns as well as physical fatigue. To counter such problems people have at times resorted to seeking medical help. Unfortunately, most conventional drugs such as Xanax have been known to carry so many side effects, that’s why we’ve written this elimidrol review of ours. The only other alternatives have been the use of supplements. Regrettably, the supplement market has been flooded by both legit and fake products too. This review seeks to take an in-depth look at one supplement, Elimidrol, to ascertain its viability. Our, Elimidrol review will touch on almost all aspects of the regimen. In brief, Elimidrol is a powdered supplement that is meant to alleviate mental and physiological discomfort. The regimen is available in two forms: one intended for daytime use and another reform night-time use. Since the drug is offered in two forms, some of the ingredients are similar in both formulas. However, some of them differ from regimen to regimen. · N-Acetyl-L-Cysteine: This piece of the supplement helps in fighting inflammation which can not only cause nausea but also fatigue. · DL-Phenylalanine: Apart from assisting in easing the pain, this extract is also a mood booster. · Asian Ginseng Root Extract: The Ginseng extract has been known to help boost moods and energy. Furthermore, it is considered an effective stress reliever. · L-Tyrosine: It is an effective physical and mental stress reliever. · Gotu Kola Leaf: This herbal extract has anxiety relieving properties and has been used as such for centuries. · Hops Flower: Apart from assisting individuals suffering From Attention Deficit Hyperactivity Disorder calm down, it is a good anxiety reliever. · Oat Bran: A good source of carbohydrate and fiber, it is also highly effective in helping the nervous system regain a calm state after high stress mental and physical levels. · Kava Kava Root Extract: This funny sounding herbal extract is essential in promoting restful sleep. · Milk Thistle Seed Extract: This extract is high in anti-inflammatory and antioxidant properties. This helps counter damage of the body’s free radicals as a result of stress. · Organic Passion Flower Herb Powder: Passion Flower induces an increase in chemical gamma-aminobutyric acid (GABA) in the brain. GABA reduces brain activity which helps the mind relax even when stressed out. This helps in gaining sleep. · Lemon Balm Aerial Parts: This herb is very crucial in the maintenance of good moods and efficient cognitive abilities. It also helps in restful sleep without causing fatigue to the mind. · Ginger root: An efficient anti-inflammatory, it helps alleviate stress caused by body injury and mental disturbance as well as swelling of the brain’s blood vessel. · John’s Wort Aerial Parts: It is generally used to deal with depression. · Vitamins and minerals: This supplement contains a considerable number of vitamins and minerals. All these vitamins help in strengthening the body’s’ immune system as well as increasing the body’s ability to absorb the herbal extract mentioned above. The vitamin and mineral constituents include Vitamins C, B6, B12 as well as magnesium, zinc, copper, and potassium. The night time formula contains the following ingredients that are also present in the daytime formula; Magnolia Bark, N-Acetyl-L-Cysteine, Ginger Root, Hops Flow, Kava Kava Root Extract, Organic Passion Flower Herb Powder and Lemon Balm Aerial Parts. Conversely, to make it more potent for night time use it has the following ingredients that are absent from the previous formula. · GABA: This neurotransmitter hormone helps calm nerve signals which in turn leads to relaxation of the body and the mind. · 5-HTP/5-Hydroxytryptophan: This compound helps in inducing the synthesis of the hormone serotonin which in turn relaxes the mind hence reliving depression and anxiety. It is particularly helpful in dealing with insomnia. · Chamomile: The powder extract is useful in creating a sensation of relaxation. · Valerian Root Powder: Valerian helps fight nervousness and anxiety which are known to inhibit the ability to sleep. · Melatonin: This naturally occurring hormone is produced in total darkness during sleep. The hormone is particularly helpful in helping the user get to REM section of sleep which is the most peaceful portion of sleep. The recommended use guideline for both formulas is the same. This Elimidrol review recommends the use of one scoop per every 395 ml of water. If no effect is felt within a period of 30 minutes after drinking the first portion, make a second portion of the same quantity. Based on the guideline, the portions should not exceed 4 within a span of 24 hours. Furthermore, the guideline recommends use on an empty stomach to increase the absorption rate. Important to mention is the fact that the supplement is supposed to take effect within a very short period of time. For maximum effect, both formulas are to be used as supplements to each other. The supplement is available for purchase online from the manufacturer’s website. there is a worldwide free shipping option available. The supplement is shipped with an unmarked outer package which helps in securing the privacy of a purchaser’s use of the supplement. 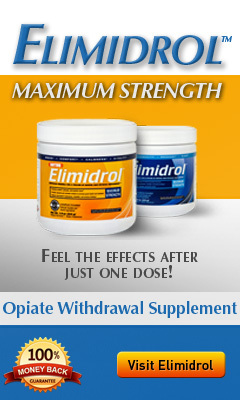 Our Elimidrol review strictly recommends purchasing from the website to avoid purchasing fakes. • The supplement contains natural ingredients. This is essential for people who suffer side effects from the exposure to artificial chemical compounds. • The supplement is fast acting which serves the purpose of a quick relief. • The regimen does not have addictive properties. • It comes with a 30-day money back guarantee. • Additionally, it can be used in reliving certain symptoms of opiate use withdrawal. • This supplement is available online, with any over the counter pharmacy purchase being highly discouraged. • The supplement’s powdered form means it will require an extra task before use. • Whereas other supplements need only using once, Elimidrol twice a day usage is not a positive. • The need to have two different formulas might confuse first time user who will view it as rip off. • The ingredient composition ratios are not well defined on the packaging. This supplement has lots of positive reviews among users on various health platforms. It also has well-described ingredients. Considering that there have been no adverse reports of side effects or addiction this supplement might actually be worth it. Nonetheless, the supplement should only be used as a relief but not as a foolproof solution to expert medical help in cases of physical and mental stress. That said our Elimidrol review says, it’s a go. Your choice.